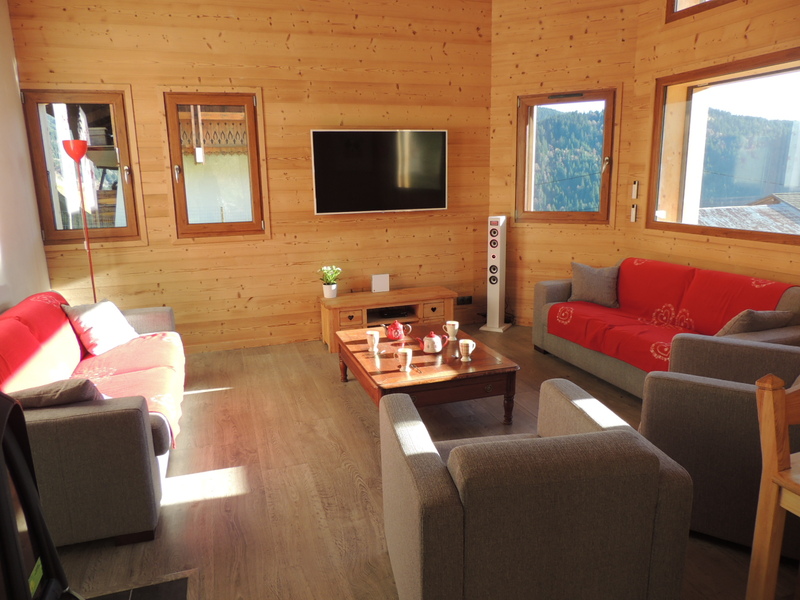 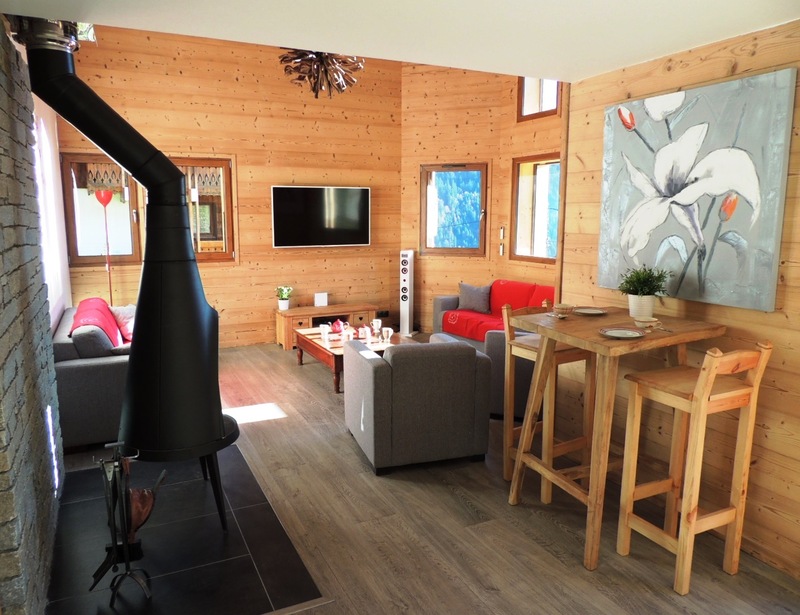 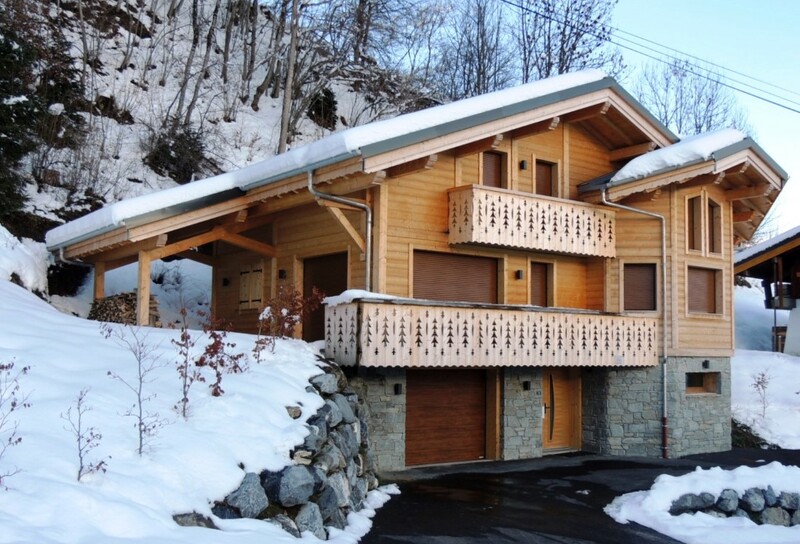 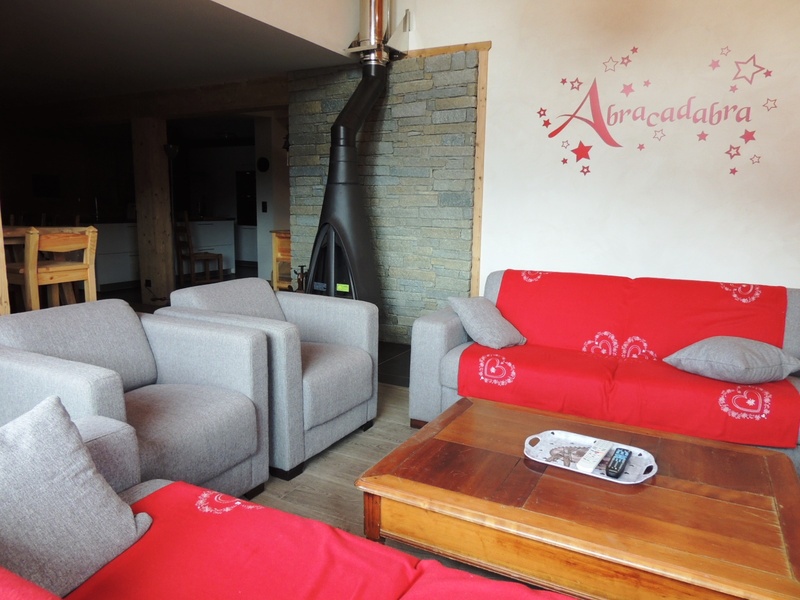 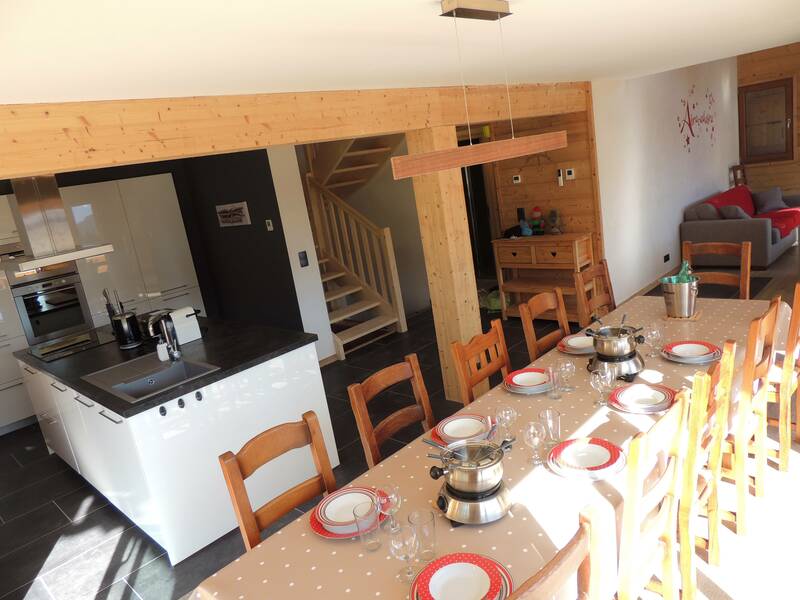 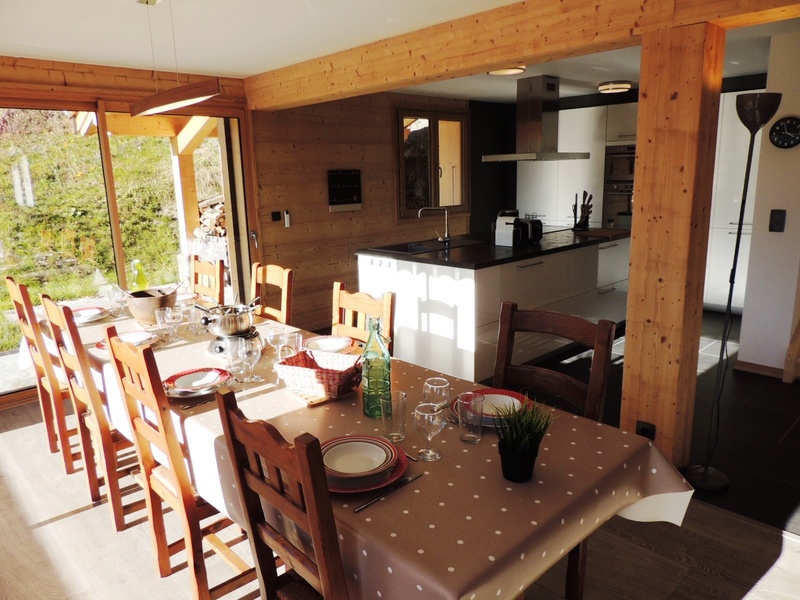 In a peaceful hamlet about 4 km from the centre of Les Gets, this new chalet (it was finished in 2015) with four bedrooms. 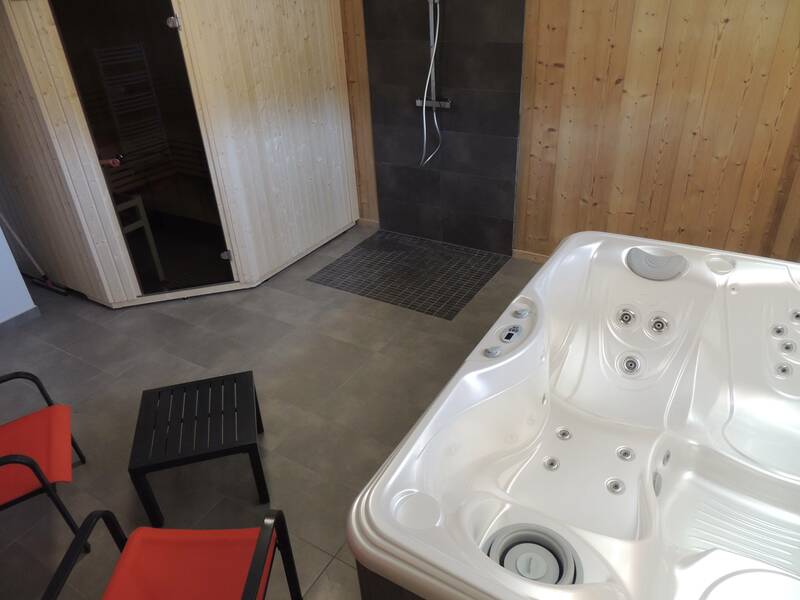 It has a jacuzzi and a sauna, both of which are ideal ways to unwind after a hard day of skiing! 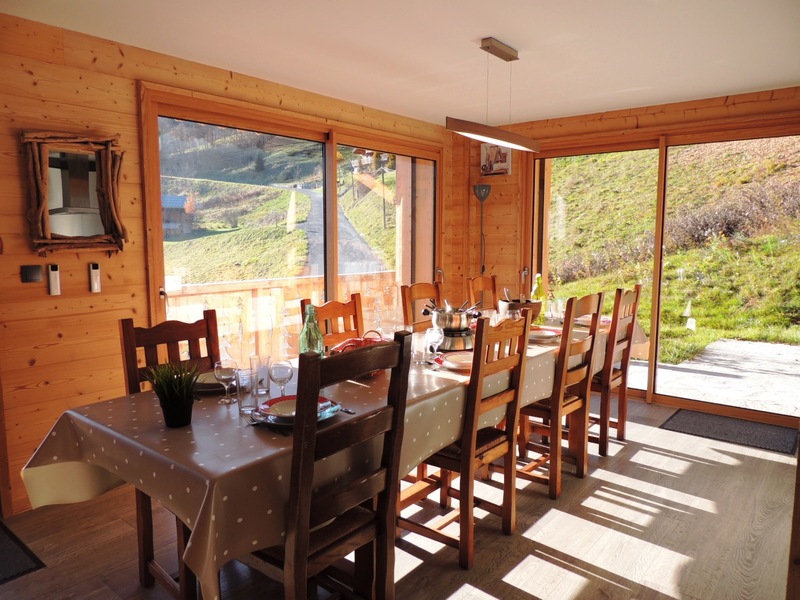 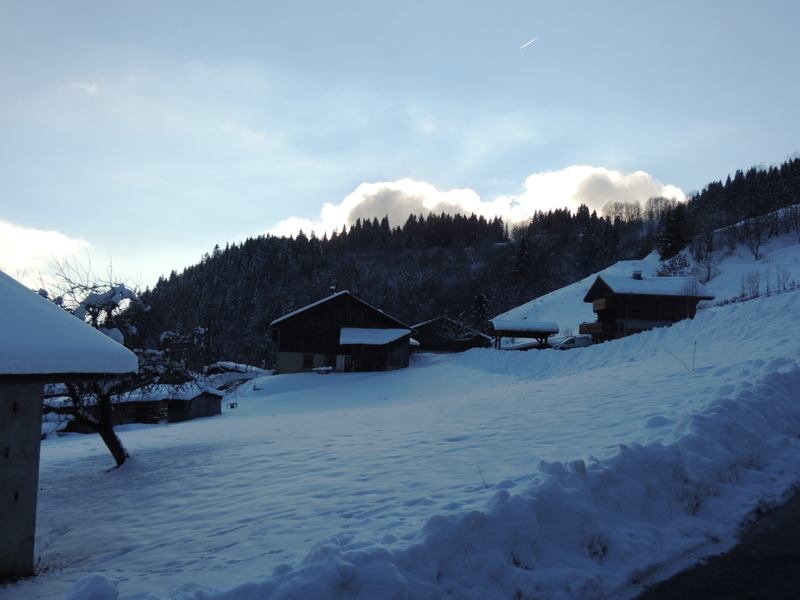 The chalet faces South and benefits from maximum sunshine and stunning views due to its elevated position. 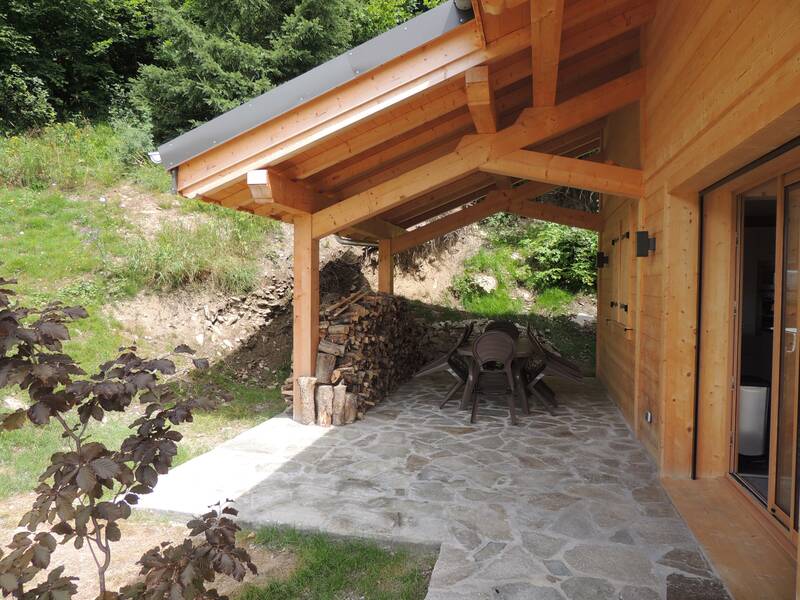 Entrance hall, relaxation area with a jacuzzi, a sauna, a shower and a WC; a laundry room, a cellar and a covered garage. 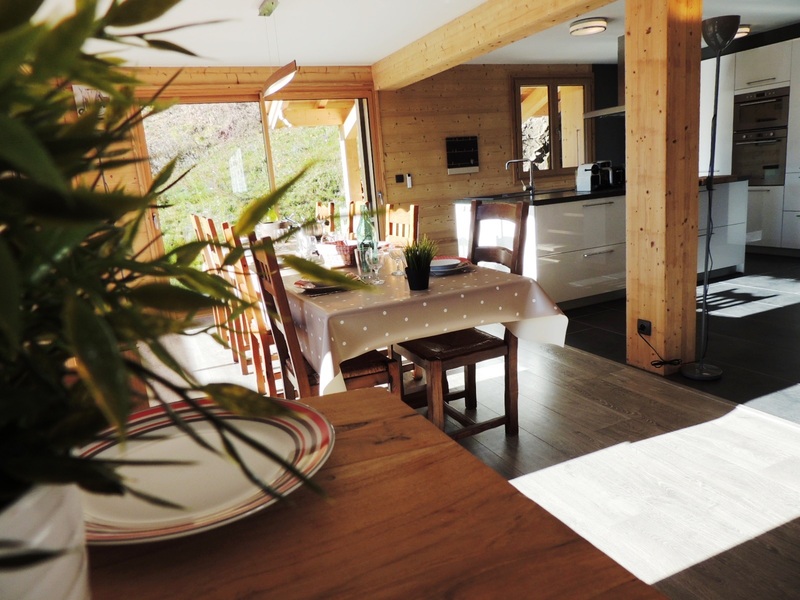 An open plan equipped kitchen with a dining area and access to a covered terrace and a balcony, a spacious and sunny sitting area with a wood-burning stove. 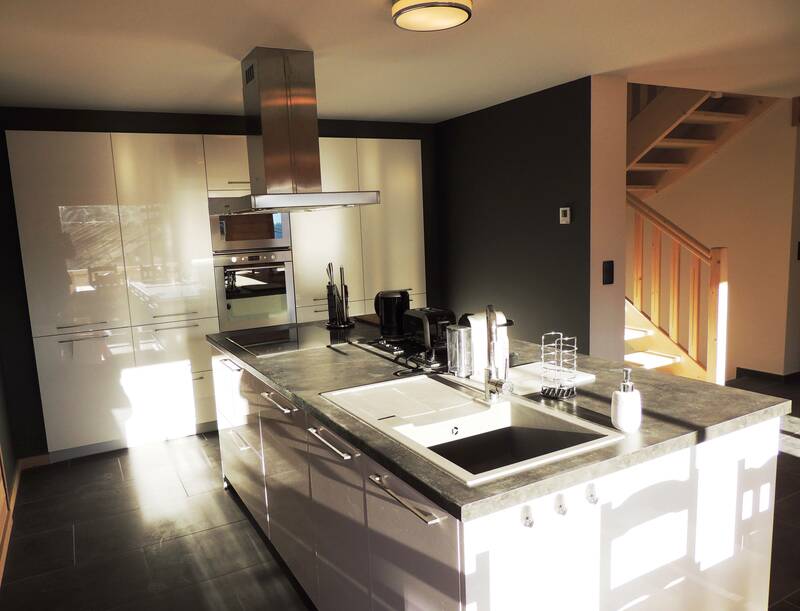 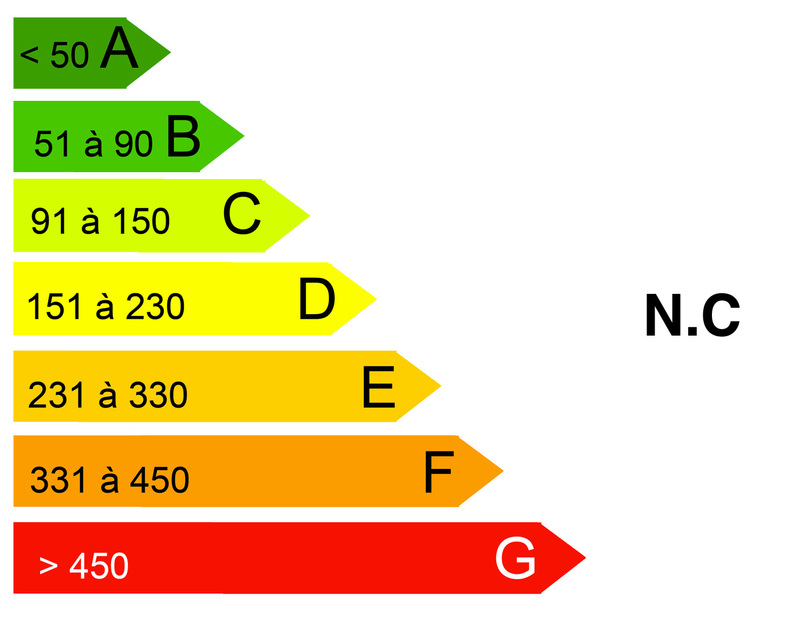 On this level there is also a bedroom with cupboards, a shower room and a separate WC. 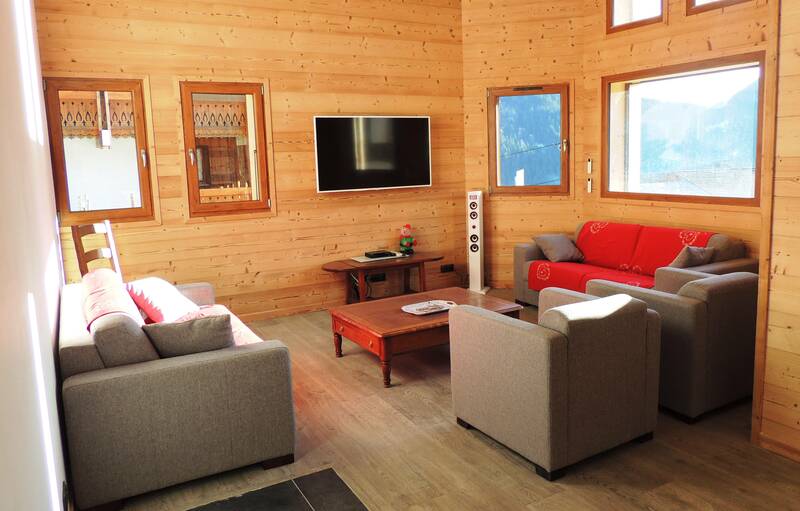 Some parts of this storey have sloping ceilings. 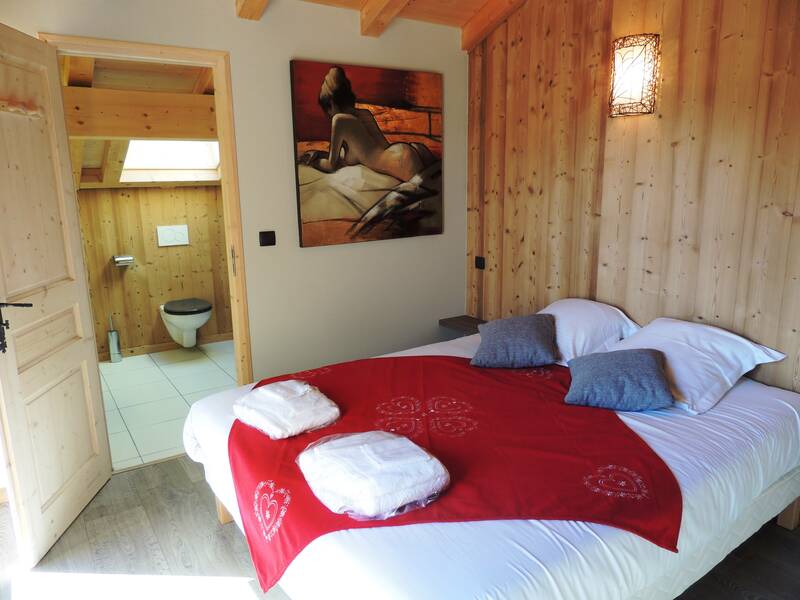 There is a double bedroom, a family bedroom with cupboards, a shower room, a WC, and another double bedroom with a balcony and an ensuite bathroom with WC.